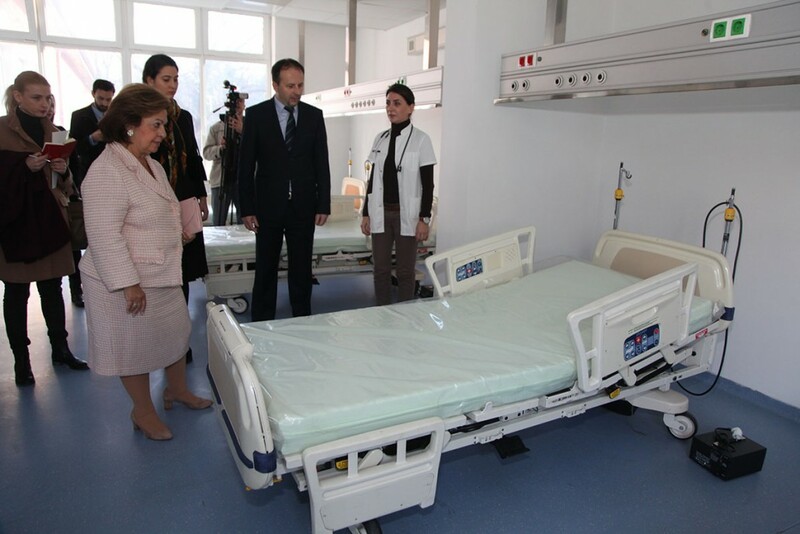 Her Royal Highness Crown Princess Katherine, accompanied by Ms Victoria de Silva, granddaughter of HRH Prince Tomislav and godchild of HRH Crown Princess Katherine visited today Clinical Hospital Center “Zvezdara” in Belgrade and donated ten most advanced Striker hospital beds for the Intensive care unit total value of 75,000 EUR. In addition, she has donated 2 gynecological tables worth 6,000 EUR. This donation was made due to assistance of Lifeline Chicago and Lifeline Canada Humanitarian organizations whose patron is HRH Crown Princess Katherine, and will significantly aid recovery of patients at the Intensive care unit. Crown Princess Katherine emphasized in her speech that her husband Crown Prince Alexander and her will continue to support this health institution, like they have done during the last 8 years, when they donated hospital beds for the first time. Princess Katherine donated yesterday ten most advanced Striker hospital beds worth 75,000 EUR to clinical Hospital Center “Dr Dragisa Misovic”.